Ireland and Connacht star Bundee Aki insists that he ignored the criticism that was aimed at him before the Grand Slam success. Aki was used as a lightning rod by some against World Rugby's three-year residency rule but he blocked it out and played a key role for Joe Schmidt's side. "The press have their own opinions and people have their own opinions, but look I can't control what they say," he told TV3. "I can't control what people say. Their opinion is their opinion. I just control how I play, and how I perform on the field. That's the only thing I need to do - impress the coaches and impress the players around me." The 27-year-old was injured during the famous win over England, but has been passed fit for Connacht's crucial Challenge Cup quarter-final clash at home to Gloucester on Saturday. Having been without three centres by the end of the Six Nations, Aki cemented himself as one of the first names on Schmidt's team-sheet and his popularity amongst the squad was summed up by him gathering the players in a huddle after the win, and leading the celebrations. "I never thought I would win a Grand Slam," he admitted. "I'm just thankful for the opportunity that Joe and the lads gave me. To win a Grand Slam with all of those big names was something special and I will cherish it forever. "I think fair play to them (team-mates) for accepting what I brought in. Over here in Connacht, I did it (huddle) the year that we won (the PRO12) but in the Samoan language. "But for that particular campaign, we did it in Irish. It was actually really class of the lads. They really bought into it. I certainly enjoyed it. "You saw that the bond that we have. It was a great way to finish off the campaign." 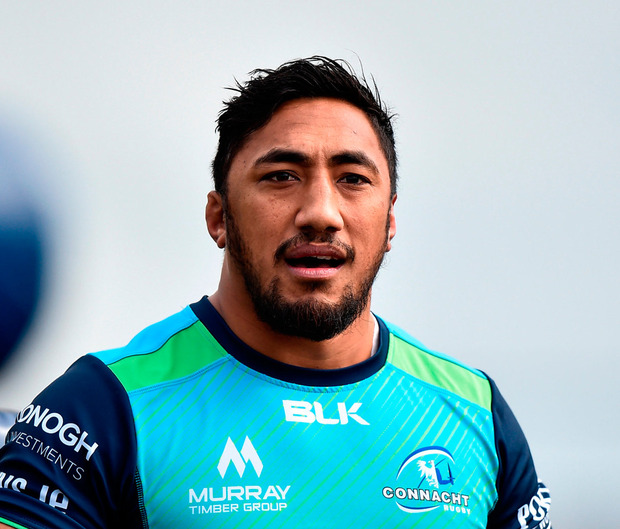 Connacht will look to keep their hopes of qualifying for next season's Champions Cup alive on Saturday, and Aki's return will boost those chances. "I think we will have a few more big games coming along, but this one is one of the important ones this week," he added. "We're looking forward to the challenge and Gloucester are a great team and they are playing really well so hopefully we can do our job here at home and come up with the result."